Discover Awaji Island, the largest island in the Seto Inland Sea. Awaji is a great day trip from Osaka especially for those interested in modern architecture and beautiful gardens. 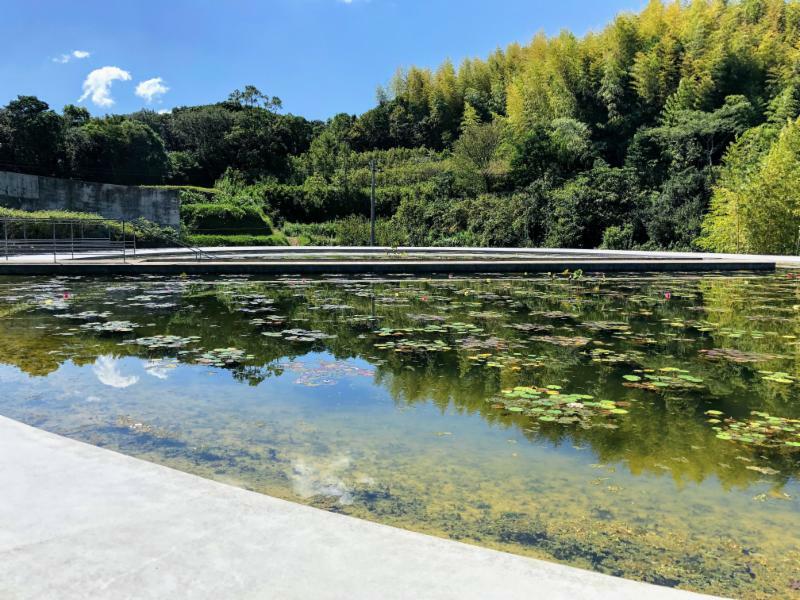 Experience the Tadao Ando designed Westin Awaji Island Resort & Conference Center and the Tadao Ando-designed Water Temple (Honpukuji), a peaceful complex surrounded by Awaji’s bamboo covered hills and rice fields. Enjoy a drive on the Akashi Kaikyo Bridge, the world’s longest suspension bridge. Also visit Awaji Hanasajiki , a huge flower garden, which occupies an area the size of four baseball stadiums and is a beautiful flower viewing site. Located on a hill, enjoy a vast expanse of colorful blooms set against the backdrop of Osaka Bay. Nearby Osaka, experience the Shiba Ryotaro Memorial Museum, also designed by Tadao Ando and dedicated to one of Japan’s best-known and loved authors. Explore Ryotaro’s house and study as well, which includes a bookshelf of 20,000 books. 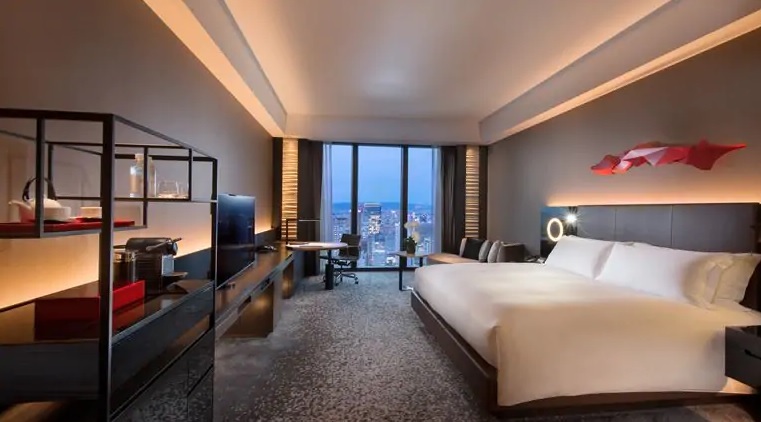 With a commanding presence on Nakanoshima between the Dojima and Tosabori rivers, the Conrad Osaka luxury hotel offers incredible views of the bay and Osaka from all guest rooms and public areas. Connect easily with West Japan’s largest city – walk to shops and offices in Umeda, and immerse in local food and culture in Namba. Conrad Osaka resides on the highest floors of Nakanoshima Festival West Tower, home to shops, restaurants and an art museum. Festival Hall is next door, easily reached via underground link. The hotel is in a prime location for exploring Japan’s rich history, cuisine and cutting-edge entertainment and the Conrad team enriches your stay with intuitive, tailored service.